Clavaseptin is a veterinary medication that is marketed outside the United States, primarily in Canada and Europe. It is made by Vetoquinol and used primarily to treat periodontitis in dogs, according to Drugs.com. The Guardian's World website also notes that it can be used to treat skin infections in cats, and is sometimes sold under the trade name Clavamox. The main ingredients are amoxicillin and clavulanic acid, which can cause side effects in some animals. Nausea is one of the most common side effects of Clavaseptin, according to Drugs.com and the St. Mary's Vets website. This side effect is caused whether the pills or chewable tablets are ingested with food or without food. Pets readily consume this medication without human stimulation, according to Drugs.com. According to the St. Mary's Veterinary Clinic website, diarrhea is another common side effect caused by Clavaseptin. Diarrhea can occur whether the animals are dosed with chewable tablets or pills. The amoxicillin in Clavaseptin changes the bacterial makeup of the pet's intestines, which can lead to diarrhea. The amoxicillin in Clavaseptin has been linked to loss of appetite in some animals undergoing treatment, as noted by the Pet Care Rx website. Whether owners are administering Clavaseptin with or without food, appetite levels should be monitored. According to Drugs.com, Clavaseptin holds the potential to cause allergic reactions in pets. This is especially true in animals with a history of sensitivity to penicillin or cephalosporin. As noted by the Pet Care Rx website, an allergic reaction to the amoxicillin in Clavaspetin can include labored breathing, a loss of balance, and rapid heartbeat. Severe allergic reactions noted on the Pet Care Rx website that may require emergency medical attention include renal failure. 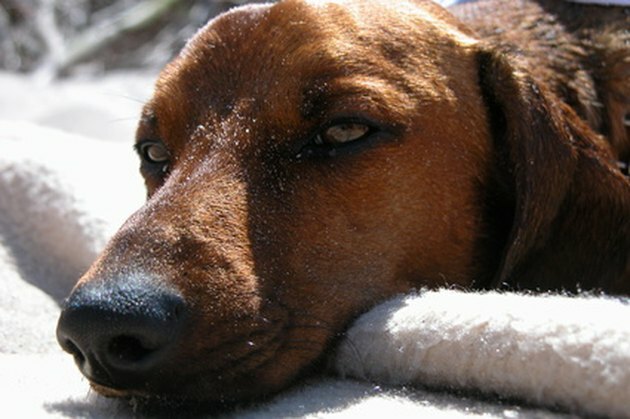 Owners who notice their pets having an allergic reaction should administer epinephrine or steroids, according to Drugs.com, especially in the case of anaphylaxis in the animal.